I wanted to share a cool discovery that I made tonight. When I clicked over to the facebook page for #runchat this is what I found . . . I am very proud to be included in this feature. It makes me feel strong. I want to be a role model and to inspire other women. I choose to run because it gives me energy, makes me feel vibrant and healthy, and running makes me feel empowered. 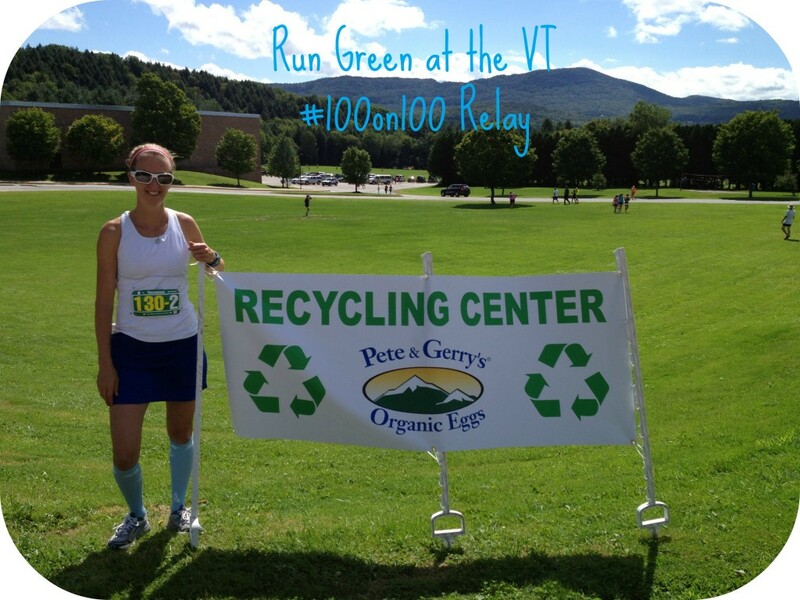 In this picture I was about halfway through my legs at the VT 100 on 100 Relay. 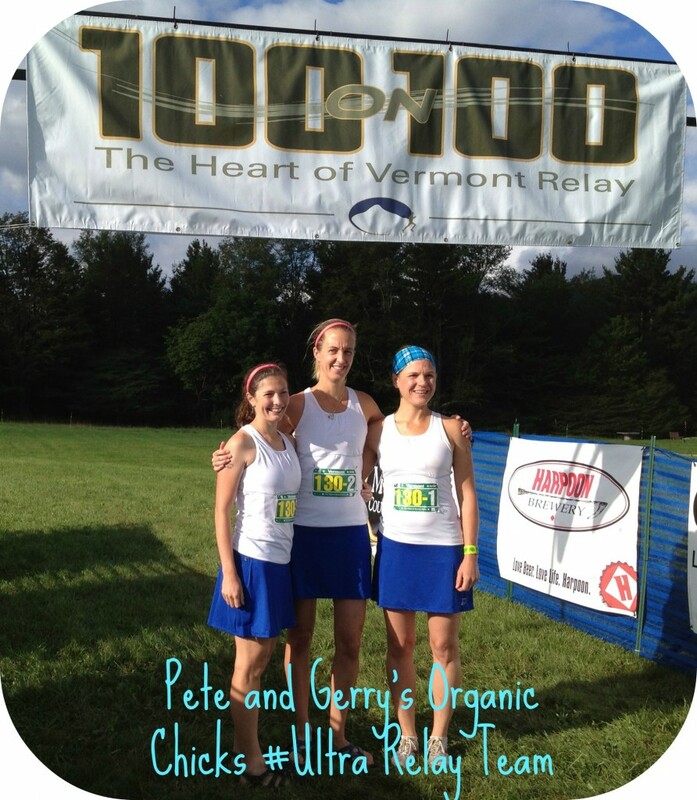 I ran 6 legs for a total of 36 miles as a member of my awesome 3 member Pete and Gerry’s Organic Chicks Ultra Team. 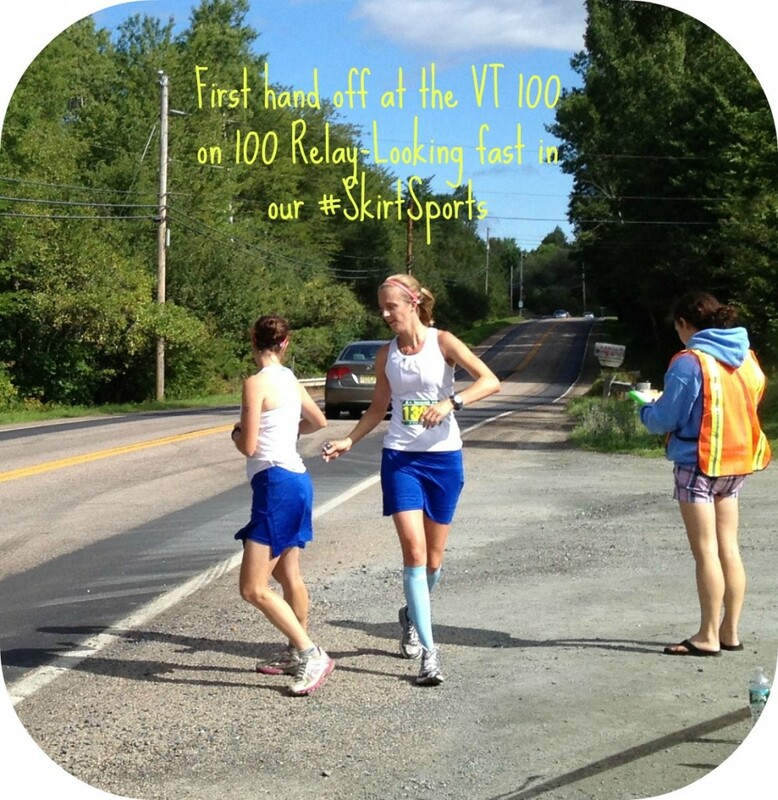 During the race we helped to support each other through the mental and physical challenges of running so many miles. We laughed together and cheered each other on. During this race I pushed my body through moments where I thought I might break. This race made me stronger and helped me to greatly improve my mental toughness. Now the big question is who are the other fantastic fit runners featured alongside me? Thank you #runchat for this nice surprise! That’s so awesome!! What a fun discovery and congrats! You look really strong in that picture – definitely inspiring! Very cool! Congrats!!! The 100 relay has been on my bucket list the last few years!! Very cool! Awesome!!! That is super cool! Congratulations! Thank you again for posting my picture. It truly was a surprise. I appreciate being chosen. 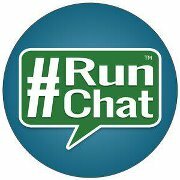 I hope to participate in more #runchat soon and will always promote your chat in social media. Thanks again David! Awesome! That is a nice surprise. Awesome!! Congrats! I’m sure you will motivate many woman ;).